Droops Holiday was born in downtown Toronto and raised in Scarborough. Living in the ghetto he has seen many different ways to choose to survive and try to make it out. Droops Holiday began to realize he was different from most of his peers, his desire and passion was music. He quickly began his journey down this path. He and some of his friends formed a group name "Kamp Dacypulz" in 2005. After completing a record (mixed cd) the group began to grow, but now the name had to change as there were new members. So Droops Holiday came up with the new name S.L.U.G (Scarborough Loves Us Gangsters). The members of S.L.U.G Unit were (Droops Holiday, Ras Thug, Kinsmuv,Izhe da kid, Pin, Elliot Scars, Stretch, Camouflage aka Gangis Khan, Bishop Brigantae) the group was a success. A double cd was quickly assembled entitled "Da Weight is Over". Many shows were done and the group began to open up for other artists from around the world. The heavy hitters included names such as J.R. Writter, Dipset, Naz, Elephant Man, Drake, Stack Bundles and G-Unit (Lloyd Banks) just to name a few. The group was doing it big for the city in 2009, then something happened, the group began to separate. Members chose to continue to pursue their musical careers on an individual basis. 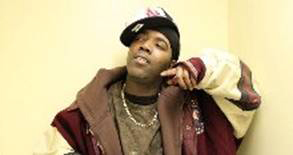 Droops Holiday then formed a group named Swagga Gang with his friend Rooks 9. The mix tape was entitled "Canadian Currency" was a quick project done in 20011; it was a success as well. Droops Holiday knew he wasn't where he wanted to be in his music career. He then chose to become a solo rap artist taking his dreams in his own hands. In 2013 his debut solo cd project entitled "Eastside Errrly" was a major success. He was on the go with no intention of looking back. He wasted no time in putting out his banger "Without Me" the single featuring Mello B and "Keisha" ft Kinsmuv. Now that Droops Holiday is getting his real chance in the music industry, many producers in the music industry are standing up and taking notice. He is currently signed with F.O.F (Fortress of Freedom Records). Now that this has happened, his dreams are so close that he can reach out and touch it and his future seems bright. Can't wait to see what Droops Holiday will bring to the music industry with his different styles, his lyrics, his voice, his concepts and his life stories. This is the chance he has been waiting for and rest assured his fans won't be disappointed. Stay posted as Droops Holiday of F.O.F Records puts Toronto on the map!